Our Valet Service is available daily beginning at 5pm and is located in front of the building at 633 West 5th Street. The cost of Valet Parking is $10 with validation for the first 3 hours, with prevailing rates thereafter. Daytime Valet Service is also available in the building's parking structure Monday through Friday at 633 West Hope Place. 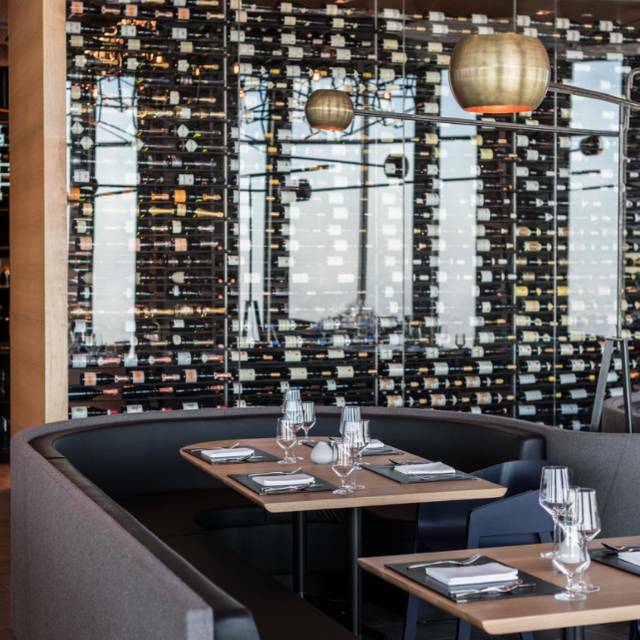 71Above is a Prix-Fixe menu restaurant for lunch and dinner with an a-la-carte menu available only in our bar area. We kindly ask all main dining room guests to participate in the coursed menu. Please be aware, any seating requests are noted, but not guaranteed. If you wish to reserve a Chef’s Table or Edge Table experience, please visit our website for more details. 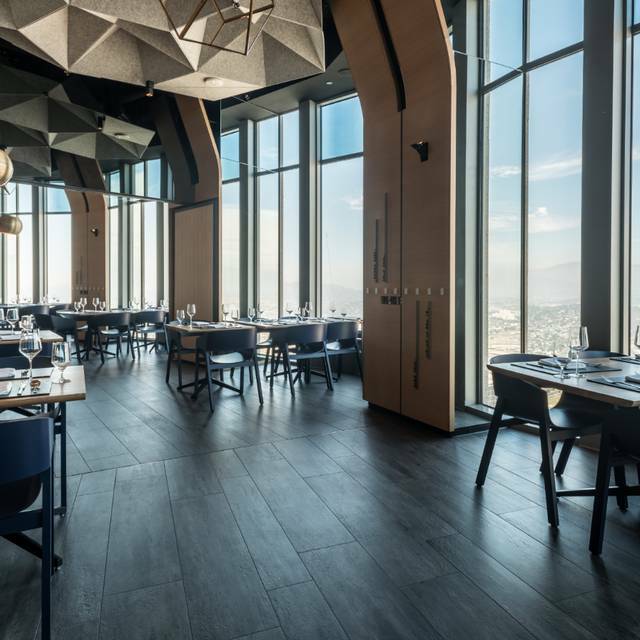 Offering elevated modern American cuisine by Chef Vartan Abgaryan, 71Above boasts breathtaking ocean views from Malibu to Laguna Hills, along with spectacular views of Los Angeles and the surrounding mountain ranges. The Restaurant and Skylounge have a Smart Casual dress code. Jackets are not required however, no hats, shorts or flip-flops are allowed. Reservations are held for 15 minutes. Valet is available in front of the US Bank Tower at 633 W. 5th Street starting at 5pm daily for $10 for the first 3 hours and $15 thereafter. Daytime valet is available under the building at 633 W. Hope Place. $10 for 2 hours. Join us for our seasonal 2 course Mother's Day brunch menu. 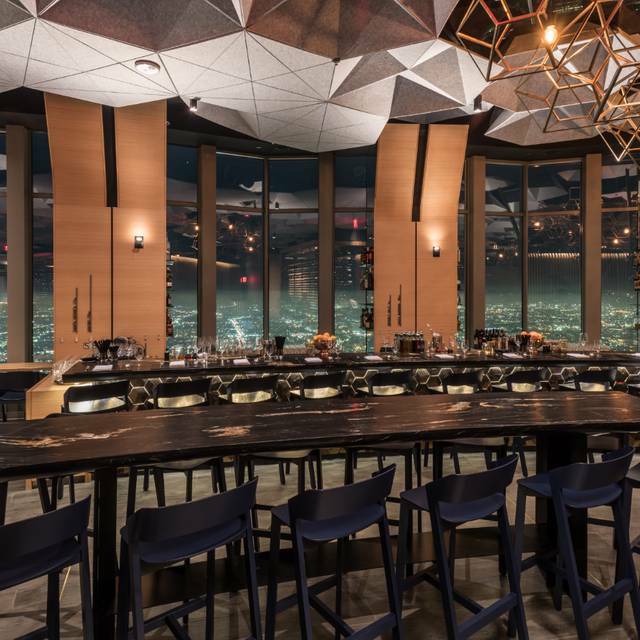 Enjoy unparalleled 360° views spanning across Los Angeles to the Pacific Ocean from the top of the US Bank Tower in Downtown Los Angeles. $55.00 per person. Credit card required to reserve. Seating requests are noted but not guaranteed. First, it’s gorgeous and truly spectacular views of all of LA. 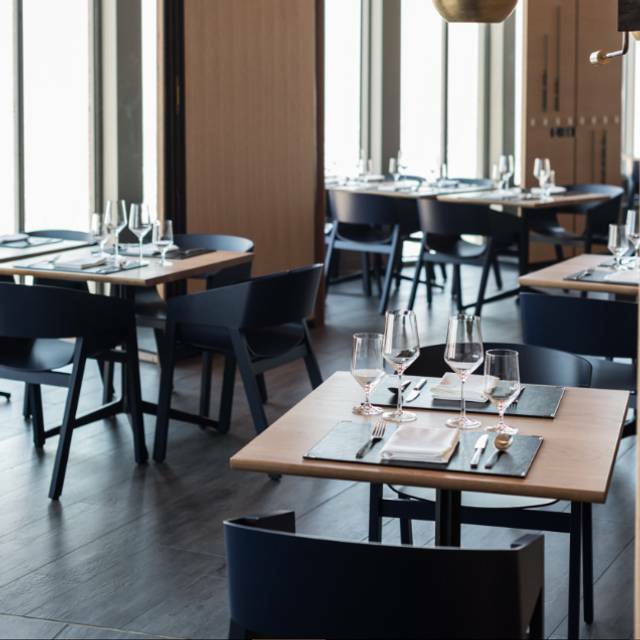 The decor of the restaurant is perfectly minimal and chic because with views like that, you really don’t need much. The food was outstanding!! My favorite was the octopus, the bacon vinaigrette was such a delicious add to this dish, I enjoyed every bite! I also had the pork and it was succulent and filling. I would highly recommend this restaurant and I will definitely go back! best location for our one year anniversary ,ambiance vipe! Great food!! Great views, obviously, and a very nice roomy space. We were there early so, not crowded. The 3 course meal was great, and my first 2 were very delicious. My 3rd course, the Ribeye was just ok. I had a tasty cocktail, and my GF and I each had a glass of wine w the 3rd course. A bit pricey, especially the wines, but we had a very nice dinner. Service was great. 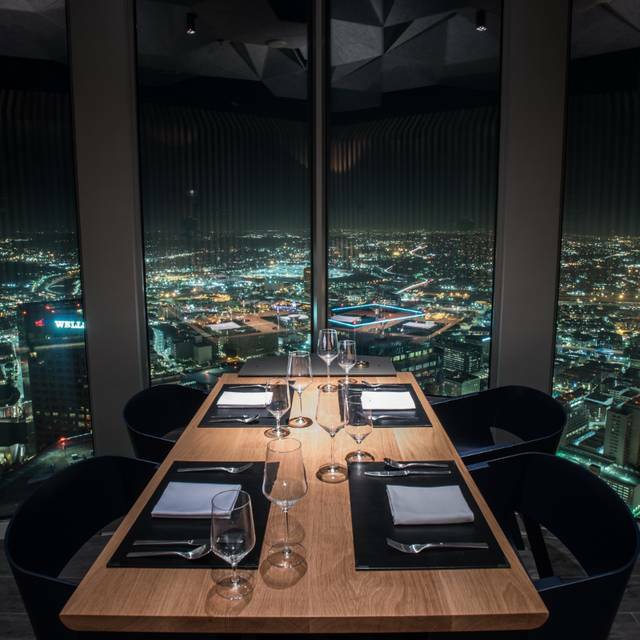 Great service, great food, fantastic view of the city! Always great food and great views! 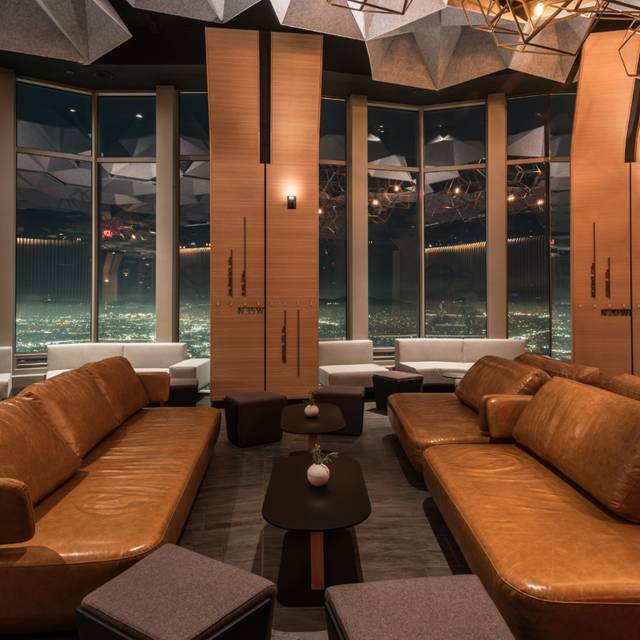 Above 71 is great value for a true LA experience. We came here for a graduation celebration. Even though my guest was quite delayed due to traffic, the staff was gracious and accommodating. The food was delicious and artfully presented. Our servers were outstanding! They brought us a complimentary glasses of champagne to celebrate! 71 Above is my go-to special occasion location!! We had an absolutely amazing table on a perfect Los Angeles evening. Food was wonderful. Service outstanding, but you are going to pay for it. It was one of the more expensive meals I've had in a long time, but it was for a special occasion and the view was worth a million bucks. This restaurant got us in on time at a table with a beautiful view. We were celebrating our anniversary so they gave us a glass of rose and a dessert. I thought the views are to die for and the ambiance was so romantic. for starters the view is Beautiful and my Wife Loved it. the Bar area with the open seating near windows is great and we really enjoyed that. The food was Delicious. all the servers were very friendly and very helpful explaining the menu since we did have a few questions. I will be back. Celebrating my mom’s birthday and my wedding plans/dress. I had a wonderful experience, cannot wait to bring the rest of the family the next time we’re all in LA! Everything we had was unreal - the layers of flavor in each dish and presentation, perfection! Best cappuccino ever! Thank you! I decided to surprise my girl friend with a beautiful lunch date. 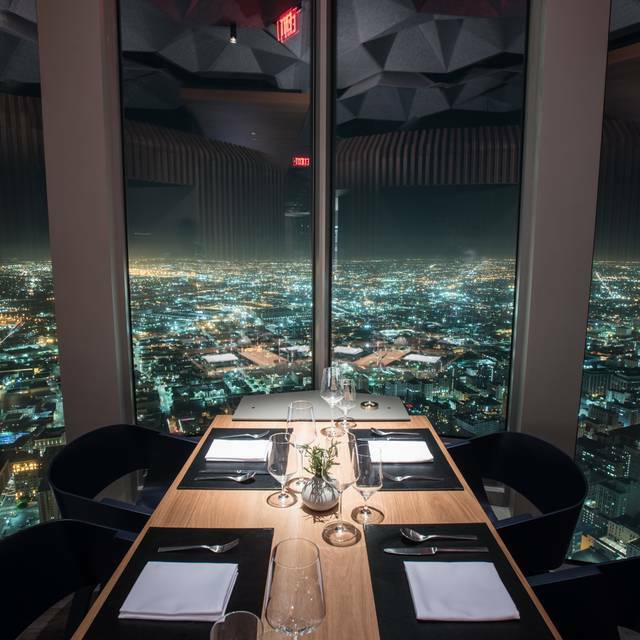 After reviewing a few listed restaurants I decided to eat in the sky. Flew in from LAX and wanted a nice view of the city along with a power lunch. Business partners and I enjoyed atmosphere, food, and service. The view is amazing and the dining experience was very unique and a wonderful culinary experience. The duck was not good. But the oyster was perfect. A terrific experience, so much better than the “rooftop restaurant” cliche would indicate. Absolutely worth the splurge. Wonderful anniversary dinner. A really great experience, from the views to the food and the service. We will definitely return! No better place for a quick lunch meeting! The 2 course lunch is perfect. Incredible service. Truly an experience. Go for the view. The food was pretentious and fairly forgettable. the city. The staff was very professional and attentive. The restaurant only offers a 3-course meal but you have about 7 choices to select per course. The food was outstanding! Some of the items we had were the octopus, scallops, rib eye steak, and oysters. Everything was wonderful both in taste and presentation. We will be coming back to 71 above for special occasions. The view was phenomenal. Beautiful sunset right from our table. The server was friendly and very helpful. Food was a treat. An overall amazing experience. I took a friend here so she could get a great view of Los Angeles. We made a reservation but asked to be sat at the bar since we were only getting drinks and small plates. It is important to note that 71 Above fills up quickly, so it is always safer to have a reservation. The bartenders put on a show for us and REALLY took care of us. It was an amazing experience that we did not want to end. The drinks and food are well worth the money and the view was to die for... not to mention the sunsets. Expected a lot out of this restaurant. We were very underwhelmed. They ran 30 minutes late on our reservation, and the bartenders were not friendly when we ordered a drink from them. We didn’t have a designated server the entire time that we dined. Our service was comprised of food runners, bussers, and the Sommelier, Ryan, whom kept checking up on us the entire time. A better experience than we could have expected. 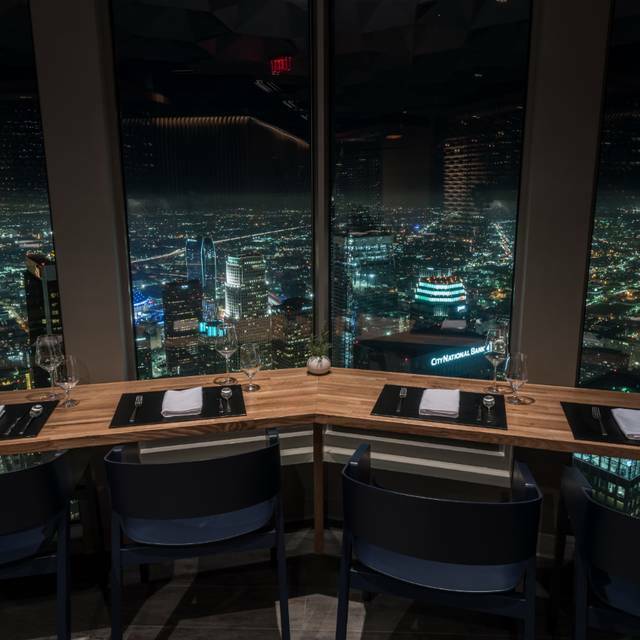 Food, atmosphere, view, service THE BEST IN LA. Where else can you get 3 courses of amazing food experiences for $79. Intricate flavors in every bite- just a spectacular experience all around. Have been for dinner about 4 times and decided to go for lunch. BIG mistake. So disappointing in most every way (save for the spectacular views. Problems with parking, hostess in lobby, hostess in restaurant and then their inability to properly cook a burger. Seriously, they could NOT get a burger right and wife sent it back twice. Had to leave before they'd be able to do another which at that point we just wanted to leave. Of course they didn't charge us for her burger and the manager was very nice, but we won't make the mistake of doing lunch here again. I'd still highly recommend for dinner. Great drinks, and delicious and beautiful dishes. Wow! What ca.n you say? 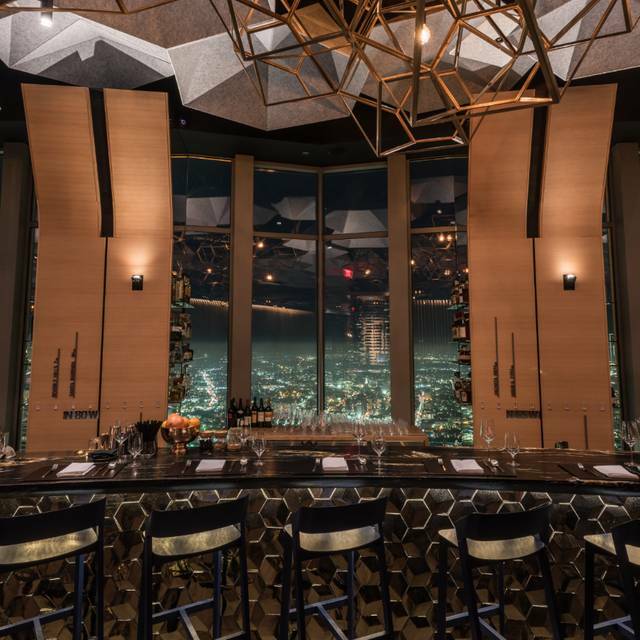 This is no rooftop restaurant gimmick. If you want the best service, the best and most unique food, best cocktails...best best best go here! We had an incredible experience and will be back!